Best tweets as Ospina replaces Szczesny vs Stoke. Arsenal manager Arsene Wenger has controversially dropped first choice goalkeeper Wojciech Szczesny for this afternoon’s match against Stoke City at the Emirates Stadium, which has inevitably provoked a massive reaction on social networking site Twitter. The Polish international was at fault for both goals as the Gunners lost to Southampton in their last league game, and summer signing David Ospina played in his place for the FA Cup win over Hull City. 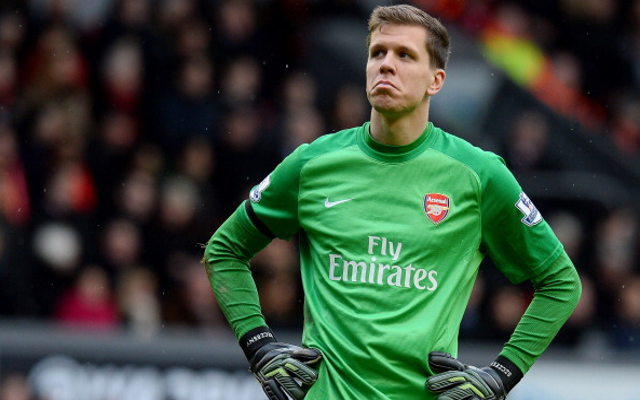 Wenger saying he has dropped Szczesny for “form” reasons not “disciplinary” reasons.